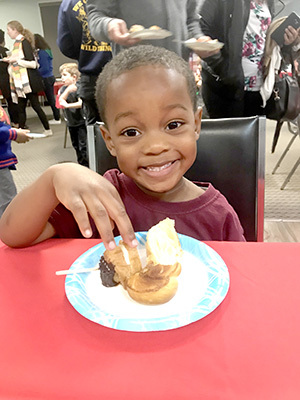 The second annual multicultural night at the Charley Brown Children’s Center (CBCC), took place on Friday, Jan. 26, said CBCC Director Liz Cortese, and for the second year in a row, it was an overwhelming success. For those who are unfamiliar with CBCC, the center, located at 5921 Jackson Drive in La Mesa was built in 1972 as part of a community outreach program of The Table: United Church of Christ in La Mesa. Its mission is to provide affordable, quality child care for infants, toddlers and preschoolers to community members. 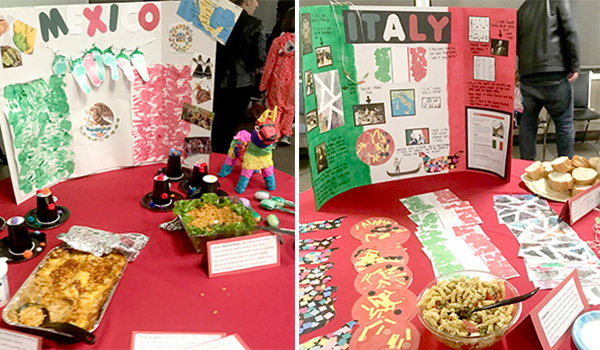 This year, it’s estimated that between 200 and 250 CBCC students, parents and family members participated in the Friday night event, which aimed to promote a greater awareness and appreciation for the different cultures represented at the center. Marroquin said she felt it was important to enhance students’ appreciation of other cultures because the school is a melting pot. In preparation for the event, a letter was sent to parents asking parents to prepare a hot or cold dish representing their family’s heritage. A student enjoys a snack during multicultural night at Charley Brown Children’s Center. 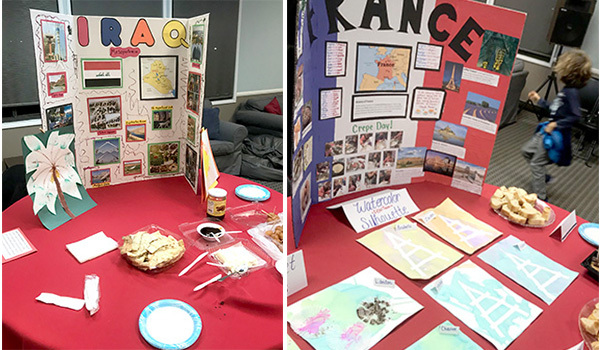 In the classroom, teachers formulated lesson plans that focused on a country of their choosing, and the students created art projects and display boards that featured what they learned. Marroquin said the art was then sold, and that the money that was raised was donated to Nothing But Nets, a nonprofit organization which delivers bed nets to children who live in malaria-stricken areas. The money raised as part of this year’s multicultural night will allow the organization to purchase 22 nets. Marroquin said the feedback from the families who participated in this year’s multicultural night was extremely positive. For more information on the CBCC, including its programs, curriculum and enrollment requirements, visit charleybrownchildrenscenter.org or call 619-463-5126. — Margie M. Palmer is a San Diego-based freelance writer who has been racking up bylines in a myriad of publications for over a decade. Reach her at margip@alumni.pitt.edu.